Life sometimes produces completely unexpected events. You may be at the height of security and prosperity one moment and in the next find yourself in desperate financial straits. This is not a reflection on your work ethic or willingness to take personal responsibility. Most people need help from time to time, and if you are in a bad financial situation your best move may be to file for bankruptcy. It is possible for you to file the paperwork for a bankruptcy on your own. However, it is a bad idea to do so. Bankruptcy law was designed to help ordinary people cope with especially bad or catastrophic circumstances. They are complex and involve nuances that only a person who has studied them will understand. A bankruptcy attorney such as the ones found at Dove Law Firm, PLLC will have the expertise and insight to help you get the most from the bankruptcy laws of the state of Texas. They will ensure that you fill out the forms correctly and that you miss none of the important meetings and deadlines that are required. Chapter 13 bankruptcy may be your best option. Chapter 13 is for consumers only. It establishes a process through which you are able to repay your debt over a period of 3 to 5 years. This is not as long and as unreasonable as it may appear. Most people who qualify for chapter 13 have debts that would require about this length of time to repay. If your secured debts total less than $1,149,525 and your unsecured debts add up to less than $383,175, you may be eligible for a Chapter 13 bankruptcy. 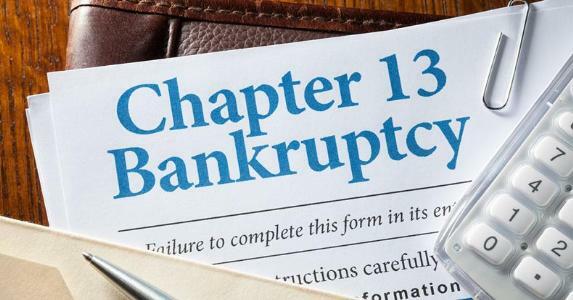 When you file for chapter 13 bankruptcy, you are obligated to list all your creditors and all your assets. These are important bits of information. They will be used to come up with a repayment plan. In most cases, you will be allowed to make payment that is lower than what you would otherwise pay. Rarely do representatives from creditors get involved in negotiating the repayment plan. This is usually handled by your attorney and the court-appointed trustee. People who are struggling with mortgage payments, IRS debt, and various combinations of credit card and personal loan debt tend to file for chapter 13. It provides the best means of getting the extra time needed to pay down such debt. Filing for Chapter 13 will give you the legal protection you need against especially aggressive or unreasonable creditors. Once you have filed for chapter 13, your creditors will not be allowed to call, email, or otherwise harass you. It is important to have someone who knows the law by your side in such proceedings. The last thing you want is to get tripped up by a rule or piece of legal code that increases your burden or robs you of basic comforts in life. Your lawyer will work to ensure that this does not happen.